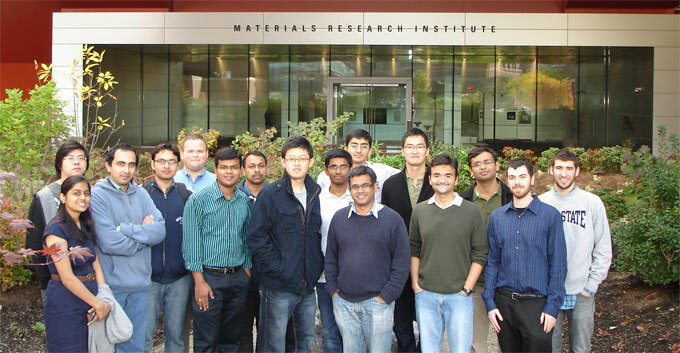 We are a research group in the Electrical Engineering (EE) department at the Penn State University. Some of us are also affiliated with the Penn State Materials Research Institute (MRI), the Microsystems Design Lab (MDL). 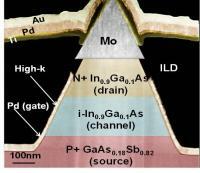 Our research is in the area of solid-state nanoelectronics fostering multiple collaborations with research groups from Materials Science and Engineering, Physics as well as Computer Science and Engineering. The focus of our research group is discovery of new generation of high-performance device architectures, experimental demonstration of device prototypes and investigation of their circuit level behavior for energy efficient information processing, storage and communication. Research projects are supported by the National Science Foundation (NSF) , Nanoelectronics Research Initiative (NRI/SRC) , Materials, Structures and Devices Focus Center (MSD/DARPA), National Security Agency (NSA), Office of Naval Research (ONR), Intel, Global Foundries, Applied Materials and others. The Nanoelectronic Devices and Circuits Laboratory pursues its research goals primarily through device design and simulation (analytical and numerical), nanofabrication and characterization. We also develop compact models for abstraction of emerging devices to explore circuits and system applications. Most of our experimental devices are built in-house using the Penn State Nanofabrication facility .